Approved by the Royal Geographical Society (with The Institute of British Geographers) and the Royal Meteorological Society. The expedition will conduct scientific research in the Peninsula Arm (PA) of Antarctica that will contribute to an understanding of the factors influencing the rapid warming in the Peninsula. 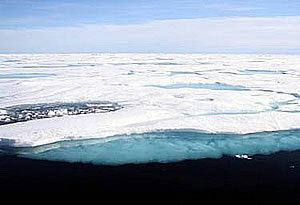 The expedition will traverse the Avery Plateau from West to East while also moving South to North. At specific sites the team will take 10m ice-core temperature measurements. The ice density will also be measured and ice samples collected. The results will feed into a science project investigating Peninsula climate variability and its causes, and in particular the climatic variations between West & East sides of the Peninsula. The expedition has purchased two Kovac Ice-Corers and 10m of flights plus thermistors. Prof. Elizabeth Morris (SPRI) has provided training and advice in the use of the equipment. Further training will take place during the Joint Services Alpine Meet in Switzerland in July 2011. The project is in support of Prof J. C. King/ BAS. The expedition will deploy Global Positioning System (GPS) units at two location with the purpose of measuring crustal motion in this region of the Antarctic Peninsula. They will be deployed with Iridium satellite data transmission capabilities. 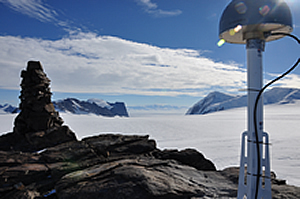 The GPS data will provide unique measurements of the movement of Earth’s crust in response to present and past ice mass changes. At the time of the Last Glacial Maximum (around 20,000 years ago) the Antarctic Peninsula’s surface was depressed by a large weight of ice. Since then the weight of ice has been significantly reduced, but at a rate and spatial distribution that is not well known. Measuring the motion of the crust today can tell us something of past mass changes because the Earth’s response is not completely instantaneous – there’s a time-lag as molten rock in Earth’s mantle slowly flows in to replace the mass of surface ice that has left. Over shorter timescales, the crust also responds to present-day ice mass changes, so the new GPS measurements will also help detect present-day changes. The sum of these two movements are expected to amount to around a few millimetres-per-year, so the signal is small! But, the quality of the GPS data should allow the motion to be measured to sub millimetres-per-year, and the Iridium connection will allow those changes to be identified almost as they happen. The project is in support of research work of Prof. Duncan Wingham (UCL) & Dr Matt King (Newcastle University). Prof. Wingham has offered training and equipment/funding from the UCL/NERC for this activity. The deployment will be made in conjunction with Dr Matt King (Newcastle University) and Prof Duncan Wingham (University College London). This will be done by the Yacht Australis while operating as the land party safety and strategic HQ asset. It will operate in the Crystal Sound/ Matha Straight/ Pendleton Straight areas taking Temperature & Salinity profiles with composite sediment grabs and possible sediment cores. The BAS have offered to place a BAS technician from Rothera onboard to assist with the operation of the equipment. The equipment will be supplied by the UCL and will provide data for UCL staff to help understand how possible UCDW (relative warm water) ingression through channels is undercutting glacial ice on the Western side of the AP. 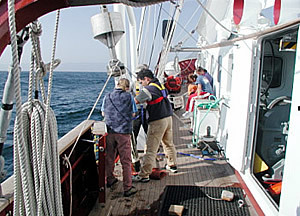 The sediment grabs and sampling will allow inference of paleoclimatic conditions and give interpolation of past to future temperature characteristics and effects. This work is to support research by Dr Amelia Shevenell (UCL) who has offered equipment and training for this activity. The expedition will collect sea ice, marine sediments and a range of biota from the Antarctic Peninsula. We will conduct chemical analysis on each of these to provide evidence for variations in sea ice cover in recent decades and for transfer of primary production through Antarctic food webs. The identification of source-specific lipids from sea ice diatoms and open water phytoplankton will enable us to measure their relative contributions to both sediments and marine biota, thus enabling us to address our two key aims. The ability to collect a range of different sample types from a common location is a key feature of this project. The project will support the research efforts of Professors Simon Belt and Steve Rowland & Dr Tom Brown at the University of Plymouth. Over the duration of the expedition, including across the Drake Passage and across the Avery Plateau, UV patches will be worn by team members to measure the level of incidental UV. This will provide data on how factors like ozone concentration, weather conditions and altitude affect UV exposure at the surface. 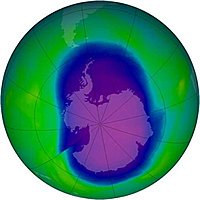 This research is to support work by Dr Andy Russell at Brunel University and the radiation research group in the Centre for Atmospheric Science at the University of Manchester. Note: Photograph courtesy of NASA. Requested by Prof. Graham Taylor of Plymouth University. For the duration of the expedition each team member will complete a daily record aiming to identify the key social and emotial support needs and strategies for themselves and their team mates. Twelve team members will answer questions on social support and twelve on emotional support and in addition each will have a short interview pre and post expedition. Data will be analysed to highlight the intensity of psychological responses and an overview of the most frequently cited social and emotional support needs and strategies. This project will be useful to future expeditions when planning and highlight areas of focus when mentally preparing for expeditions or deployments to extreme environments. This will also provide evidence to highlight the importance of adventurous training (AT) within the military as a way of developing effective individual and team support strategies. This research will be conducted in partnership with Dr Neil Weston and Dr Chris Wagstaff, Sports Psychologists at the University of Portsmouth. The weather station is likely to be buried in the snow due to the extremely adverse weather conditions on the Avery Plateau where 2m snow falls in 24 hours are not uncommon. As such it will become ineffective and therefore, we will seek to retrieve it from the snow in order that it can be returned to the BAS for further operations. The UKHO Antarctic Pilot (NP 9) will be updated with photography and navigation notes for the western coast of the Antarctic Peninsula an area that has not been reported on in detail before. This has been requested by Mr Andy Willet of the UKHO. The expedition will provide underpinning data for the various individuals named above to include in their publications relating to their field of study. The expedition will publicise the intent and the nature of the objectives through the expedition specific website and through its linkage with the International Scott Centenary Expedition (ISCE) educational outreach programme. Students from 14,000 Junior and 2,000 Secondary Schools are able to directly interact with the expedition and ask questions by email. The Australis will have a data connection by which real time answers and information can be relayed to both the website and to the schools directly. There is also a series of school visits and ‘Polar Fun Days’ being delivered as part of the Scott 100 Events Master list for 2011/2012. We will seek to use the Military PR organisations to feed the large scale interpretation of the data sets collected back into the public domain through the media channels and terrestrial stations. This will only occur with the approval of the BAS/UCL/ relevant academic organisation concerned. Prof. Elizabeth Morris (SPRI). Assistance with the Ice-Core activity and practical aspects of operating in the environment. Dr. John King (BAS). Advice on the Orographic Flow models and climatic variability on the AP. Dr John Shears (BAS). Operating and logistical implications of working on the AP. Prof. Duncan Wingham (UCL). Training and advice on the practical aspects of emplacing an iridium GPS transmitter on the AP. Surgeon Rear Admiral Lionel Jarvis. ACDS Health. Science Patron for the BSAE2012 and overall coordinator for science activities.